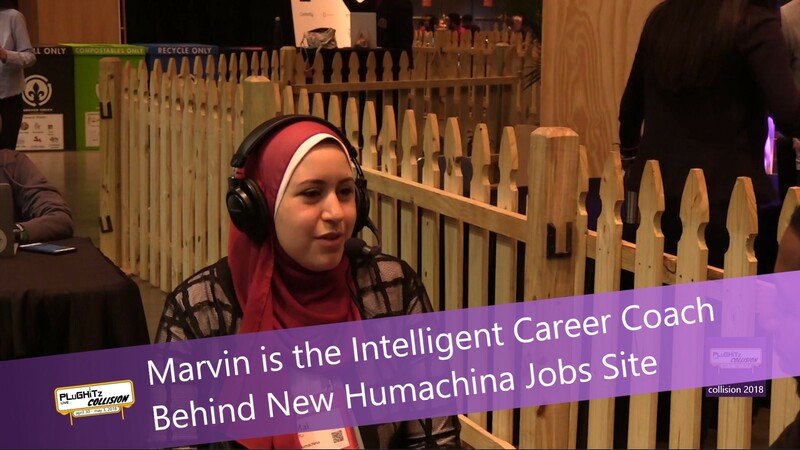 Mai Atta is a co-founder of Humachina, a career board site powered by Marvin, an artificial intelligence career coach who crunches the numbers to help users find the perfect job. Currently in beta mode, Humachina aims to help both job seekers and those seeking career advancement. Atta and her team, all from Cairo, were inspired to develop Humachina as a result of their convoluted journeys to their current careers. They worked in fields outside their majors and spent years uncovering their true passions and discovering the right paths to them. They felt there should be a better way to explore career options more efficiently at an earlier stage. Thus was born Humachina, which uses sets of psychological assessments within a holistic framework to suggest career, development and vocational options for job seekers intended to be in closer alignment with their actual skills and interests, so users can develop greater professional awareness to make more informed career decisions. When a user registered on the site, a short two-minute chat with Marvin the AI Career Counselor gives the AI system a sense of where the job seeker is, and where he or she wants to be. Then Marvin creates a customized profile for the user, which can be accessed and updated as needed. Where the usual ratio of job counselor-to-student is about one per 500 students, Marvin is a dedicated personal adviser. The platform helps users identify valuable skills for the current job market, learn what's new in the employment arena, makes professional learning and development recommendations, and helps source related online MOOCs and relevant offline courses at nearby Community Colleges or Universities. Whether someone wants to be a data scientist or a professional surfer, Marvin makes no judgments, only crunches the numbers. It can detect if a user is bored, or focused more on skills than interests, or if the user wants to say something further. The AI will provide percentages of career fit, plus odds for success based on career development paths, predicting when the user will be able to achieve the career of choice, based on the selected professional and personalized Learning Path. It also helps select the best style of learning for the user, based on whether it understands the user to be a visual or auditory learner. With a database of 140,000 jobs, Marvin can also make recommendations based on location, travel and relocation preferences. Rolling out Humachina at Collision 2018, Atta and her team are hoping for exposure and funding, so they can expand out beyond their proof-of-concept beta test location in New York City. You can meet Marvin at the company website to learn more.